Dr. Ivone Mirpuri, Medical Doctor and Adviser for the Foundation, will present the Harmful Effects of Plastic on Human Health – a deeper insight to our health and how it is affected by the use of plastic – in the next Ocean Summit on December 7th and 8th, in Cape Town. This is the second in a series of seven landmark events around the world in which the Mirpuri Foundation will participate, as the Volvo Ocean Race sustainability principal partner. 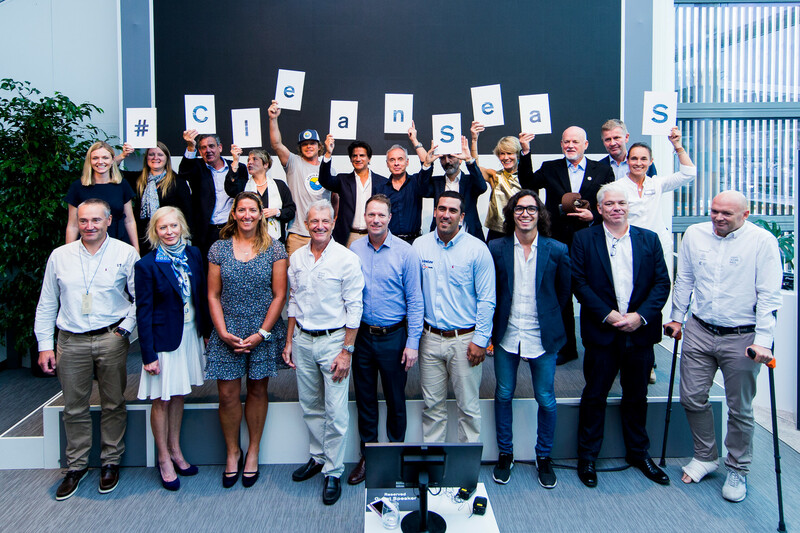 The event brings together sport, business, local government and science and provides a platform to bring action on ocean health, with a focus on plastic pollution. Key speakers will also include Richard Brisius, President of the Volvo Ocean Race, Bruce Parker-Forsyt, CEO of WorldSport South Africa, Brigitte Burnett, Head of Sustainability of the Nedbank Group and Lilly Barclay from the Ocean Family Foundation, among others. The first Ocean Summit took place in Alicante and a lot was accomplished. The Volvo Ocean Race launched a unique Science Program that is already gathering data from parts of the oceans that are otherwise inaccessible to scientists. This Program is supported by all the sustainability partners, and more specifically Volvo Cars and a consortium including NOAA (National Oceanic and Atmospheric Administration), JCOMMOPS (UNESCO-IOC), GEOMAR and SubCtech. 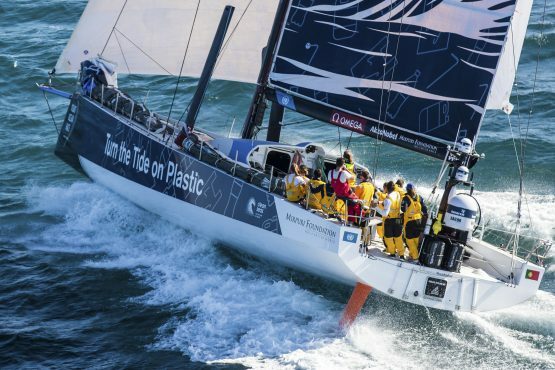 In addition, all of the racing yachts in the 2017-18 edition send data back from the oceans every 10 seconds – recording temperature, barometric pressure, wind speed and direction. This data will be passed on to NOAA and the European Centre for Medium Range Weather Forecasts. It will contribute to more accurate weather forecasts and climate models. 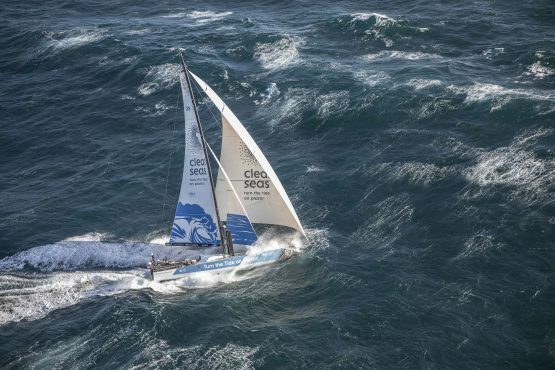 During the four most isolated legs in the race, all seven yachts will carry drifter buoys equipped with satellite communications to transmit information on ocean composition and currents. This has been done already in Leg 2, from Lisbon to Cape town. The Mirpuri Foundation “Turn the Tide on Plastic team” carry instruments onboard to test salinity, dissolved CO2 and Chlorophyll-a (algae), and for the first time ever, microplastics, directly in the sea water around them. These key metrics for ocean health will be logged in order to create a complete snapshot of parts of the world’s oceans scientists rarely, if ever, get to study. “By collecting data from the remotest parts of the oceans they’ll be collecting vital information which can be used to help improve marine health, including tackling the growing problem of plastic pollution,”said Niklas Kilberg, Volvo Cars’ Senior Manager for Sustainability. Also the Spanish government pledged its backing for UN Environment’s Clean Seas campaign. The UN’s global campaign is now backed by 32 member states and aims to ‘turn the tide on plastic’ by inspiring action from governments, businesses and individuals. Plus, 35% of visitors to the Race Village in Alicante entered The Globe, where there was a display of UN Environment exhibition, and strong video messages about the race and the cause. As well as Alicante and Cape Town on the 7 and 8 December, other Host Cities featuring Ocean Summits include Hong Kong on 22 January 2018, Newport on 18 May 2018, Cardiff on 5 June 2018, Gothenburg on 18 June 2018 and The Hague on 27-28 June 2018.